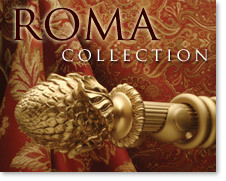 The Roma Collection brings a touch of European delight right into your home. Now it's your turn be the designer! The wood curtain rods, finials, hold backs, brackets & curtain rings found in this collection are simply mythical. Our large wood curtain rod selection gives you space to explore. There is something very special about wood, and wooden drapery hardware helps make our homes feel cozy and natural. All the wooden drapery hardware sold by Drapery Curtain Rods is carefully selected with quality and style in mind. 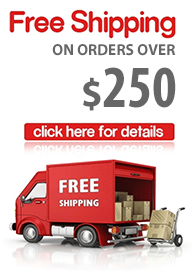 Click here to check out all our curtain rods and drapery hardware collections. We believe that curtain rod quality is what matters most and we go the extra mile to make sure our wood drapery hardware suppliers are using quality wood in all wooden curtain rods, finials, holdbacks, sconces, brackets and rings. 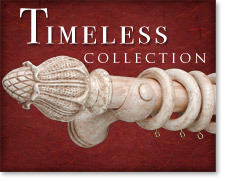 Our wood curtain rod collections contain a large variety of beautiful, stylish and unique wood finials, wood hold backs, wood bracket, wood sconces, wood curtain rods, wood rings and more. Curtain finials are the most fashionable part of drapery hardware, and we made sure to include many beautiful finials in all sorts of shapes, colours and sizes. On our site you can choose from a complete selection of wood drapery hardware pieces that will make your draperies & home look like they belong in a home fashion magazine.